Non-Equestrian Awards, Organizations, Hobbies, and Volunteer Work. Hobbies: I love teaching my Boston Terrier how to do agility test and learning agility courses, taking care of and playing with my 3 guinea pigs, helping others train or ride their horses, baking and playing soccer. Do you show in more than one discipline? I began riding casually with a friend around 7 years old. Then at the age of 10 years old after earning my own money I purchased my first horse. I worked at Room to Run stables 3 nights a week to help work off my horses board as well as helped with day camps teaching other kids horse responsibility, care and riding. I was then introduced to IEA and coach Nancy Arledge. 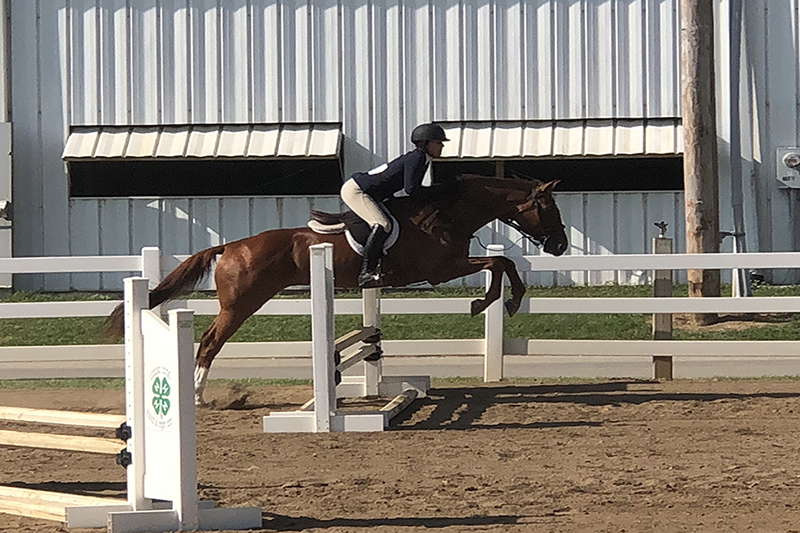 Riding Instruction- Hunt seat and Dressage training with Nancy Arledge at the Paddock Stables in Pataskala, OH. 2015 to present. Showed in Fairfield County 4-H 2012, 2013, 2014, 2015. Showed Franklin County 4-H 2016, 2017. Showed Licking County 4-H 2018. Showed in NEST shows 2017 and 2018. 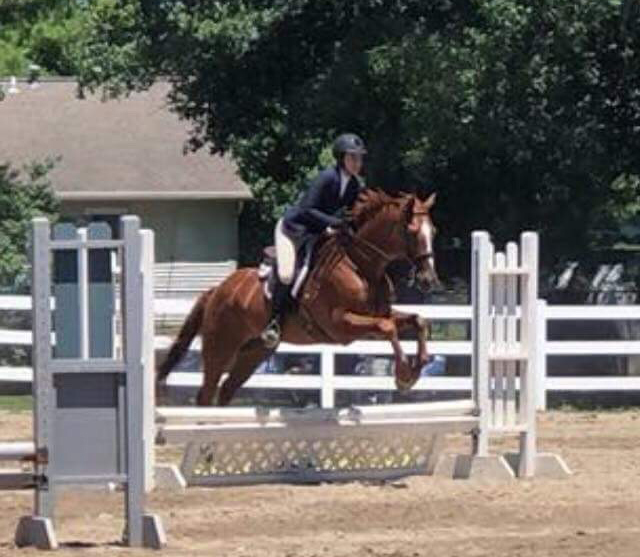 IEA Hunt seat participant for show years 2015-2016 through 2018-2019. IEA Dressage division participant show year 2017-2018 and 2018-1019. Have you registered at the NCAA Eligibility Center? IEA Hunt Regional qualifier 2016, 2017, 2018; 4th place flat individual 2016, 3rd place flat individual 2017, 2nd place flat team point rider 2017, 1st place flat team point rider 2018, 4th individual flat and Jumping 2018. 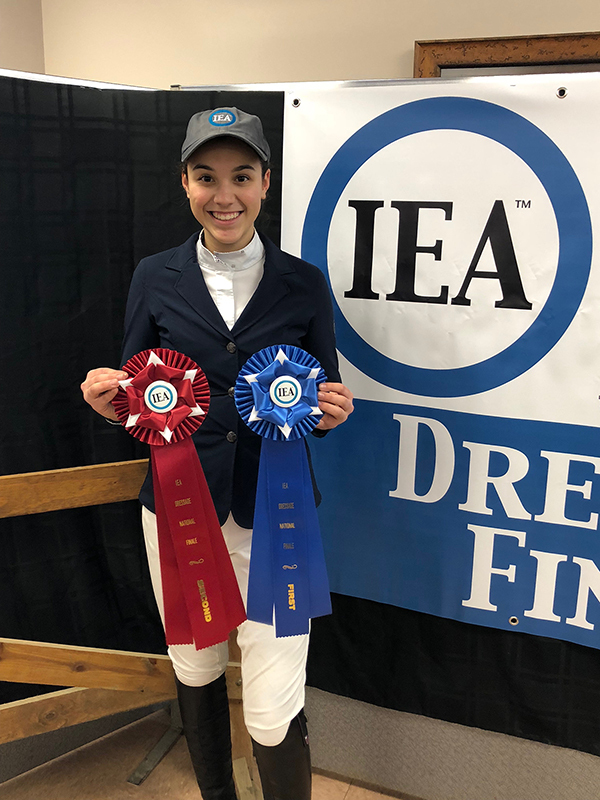 IEA Dressage Nationals qualifier 2017-2018; National IEA Champion seat equitation 2018, National IEA Reserve Champion dressage test class 2018. WLDET middle school team National Champion 2018. OHJA year end award 5th place, New Vocations Grand Champion 2017, New Vocations Reserved Champion 2018. NEST show; multiple placings. 4-H shows; multiple placings.